For the man who isn’t particularly jazzed by the bells and whistles of high-tech gadgetry, the elegant line of Movado’s Red Label watches will bring about a knowing smile and an appreciative nod. 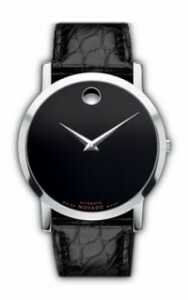 The Movado Red Label 606112 Men’s watch is classic Movado artistry with its exclusive black museum dial and signature concave dot at the 12 o’clock position, denoting high noon. Tastefully unadorned and richly refined, it is the quintessential gentleman’s timepiece. The round, numberless 42-millimeter black dial on the Movado Red Label 606112 Men’s watch features faceted silver-tone hands and the red-labeled Movado inscription at 6 o’clock, all protected with a scratch-resistant sapphire crystal. 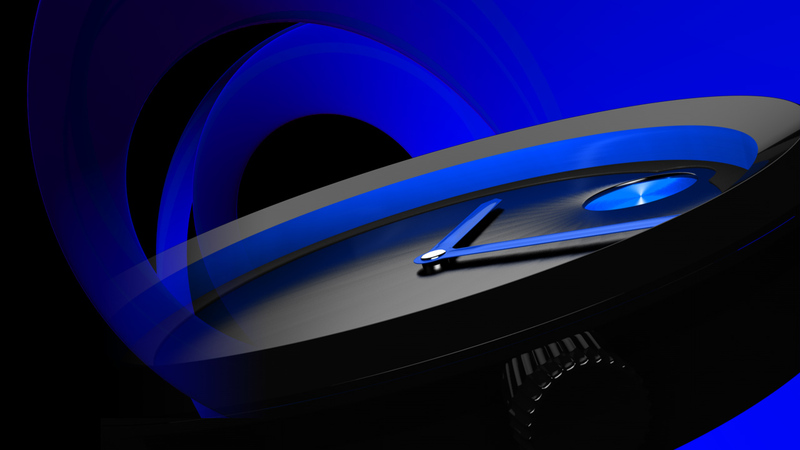 The case is crafted from polished solid stainless steel and features a gleaming stationary bezel. Providing an understated dramatic flair to this handsome watch is a genuine alligator black leather strap secured with a deployment buckle. The Movado Red Label 606112 Men’s watch is self-winding and powered with Swiss automatic movement. It withstands water to 99 feet (20 meters), tolerating showers and splashes, but is not recommended for swimming or diving. Crisp and genteel, the Movado Red Label 606112 Men’s watch is luxury at its finest, well-matched for the man who seeks minimalist excellence. This watch is available at authorized Movado retailers.